We find the root צחק - "to laugh" a number of times in the story of Yitzchak (which isn't surprising, considering it is the source of his name.) The verb appears in both the kal form - צחק tzachak and the piel form - ציחק tzichek. Just as laughter itself can be interpreted many different ways (are you laughing at me or with me?) - so to does the verb have different connotations: joy (Bereshit 17:17, 21:6), surprise / disbelief (18:12-15), jesting (19:14), mocking / teasing (21:9) and intimacy / foreplay (according to Chizkuni) in Bereshit 26:8. 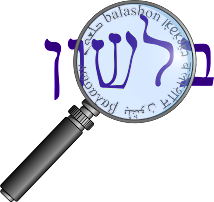 The form "tzachak" is used exclusively until the time of the Shoftim (Judges). The form "sachak" is used exclusively in the seforim written during the first Temple. Both forms appear in the seforim written after the destruction of the first Temple. Thus, the subject name appears in the Torah and Yehoshua as Yitzchak. It appears exclusively as Yischak in Tehillim, Amos and Yirmiyahu. It appears again as Yitzchak in M'lochim (Kings) and Divrei Hayomim (Chronicles). 1. Both forms are used in the same posuk in Shoftim (Judges) 16:25. See Malbim for his explanation. 2. There is a dispute in Bava Basra 14b (and following folios) dealing with Iyov's era (when he lived or when the sefer was written). Iyov uses "sachak" exclusively. 3. Tehillim 105:9 and 1 Divrei Hayomim 16:16 are the same exact posuk with variant spellings of the subject name. In Modern Hebrew שחק means "to play", and צחק retained the meaning "to laugh". Kutscher writes that the origin of tzchok is onomatopoeic- it imitates the sound of laughter. (The English word "laugh" is said to have similar origins.) He also writes that the Aramaic roots גחך and חייך are related to צחק and שחק , and that the original Semitic root was probably close to the Arabic צחך (dahak). Why did all these various forms come about? Through a process called dissimilation, where "similar consonant sounds in a word have a tendency to become different over time, so as to ease pronunciation." (For a good description of the process in Hebrew, see here. I should have looked at that post when I wrote about keshet.) So for example, by changing from צחק to שחק - we end up with only one emphatic consonant, which is easier to pronounce.